A few environmental groups in Florida want Gov. 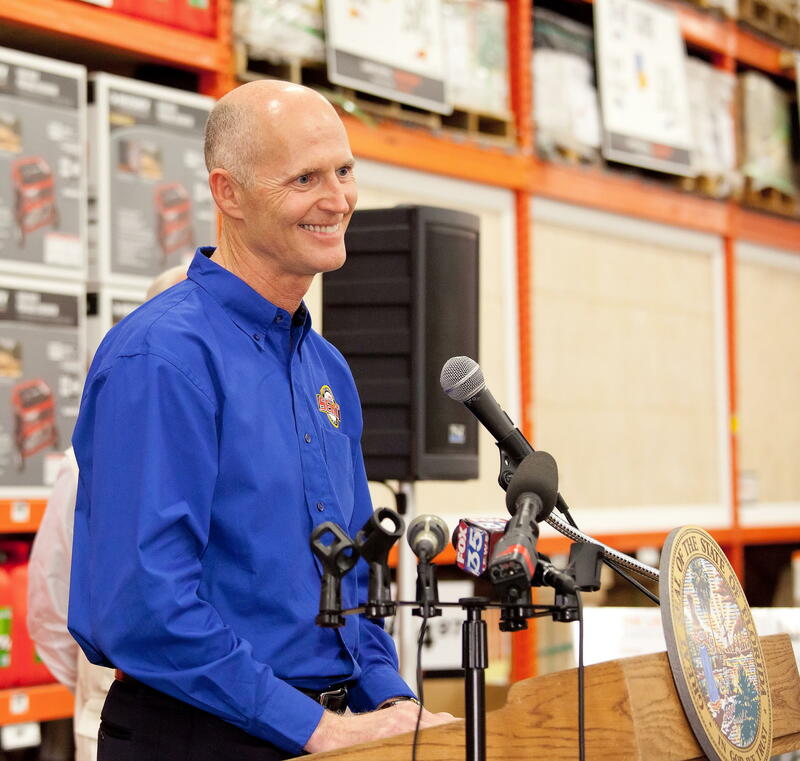 Rick Scott out of office due to his involvement in oil stocks. Scott has a growing stock in an oil company involved in drilling in Collier County, and in 2011 he invested $135,000 in Schlumberger Limited, one of the biggest oil service companies in the world. Schlumberger Limited is involved in drilling near the Everglades. Environmental groups including the Sierra Club oppose the drilling. Joe Mulé is the director for Preserve Our Paradise, an environmental group in Collier County. He says this news is just the icing on top of the cake. “He has shown no regard for the people in the community, or the safety of the environment and the water, so we are just disgusted,” Mulé says. He says even if the governor sells his stock, the damage has already been done: “We just want to see Governor Rick Scott not re-elected." The Associated Press reported that Scott invested in a blind trust three years ago. His stock in the oil company was made by an external brokerage firm, C.L. King & Associates, which manages his accounts. Scott said in a statement Sunday that all oil companies must follow Florida’s environmental regulations, regardless of who operates them. Environmental groups in Florida don't want Gov. Rick Scott re-elected. A Florida bill legalizing Charlotte's Web, a strain of low-THC marijuana used to treat severe illnesses in children, was approved today by Gov. Rick Scott. Advocates say Charlotte's Web benefits children who suffer from a number of chronic medical conditions, particularly epilepsy. "The approval of Charlotte’s Web will ensure that children in Florida who suffer from seizures and other debilitating illnesses will have the medication needed to improve their quality of life," Scott was quoted saying in a press release. Gov. Rick Scott signed into law a bill allowing certain students who arrived to the United States illegally to qualify for in-state tuition at colleges and universities in South Florida. The bill (HB 851) was sponsored by Rep. Jeannette Nunez, R-Miami. Broward County plans to widen five miles of eroded beaches from northern Fort Lauderdale to southern parts of Pompano Beach. The project is near an offshore coral reef in South Florida. Cry for Water is a nonprofit conservation group that fears the new sand will destroy the coral or make them vulnerable to diseases. Dan Clark is the group's director. He says the Army Corps of Engineers did a less than complete review of the project. A lab just off Florida's Miami River has become the base for an unusual lifesaving operation. 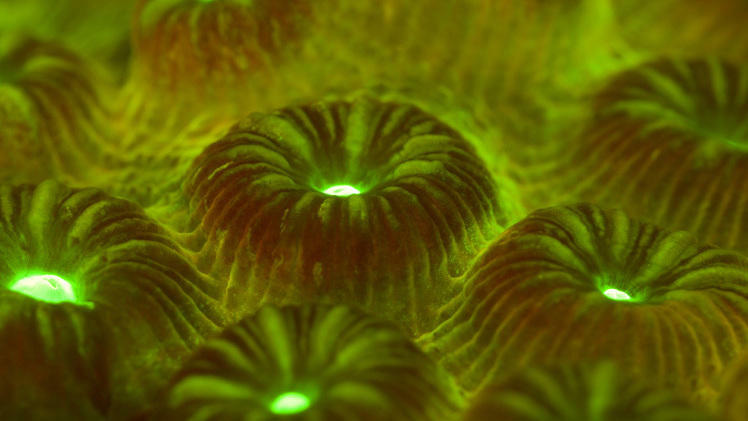 A group of scientists there is on an urgent mission to save as many corals as it can before the marine creatures are destroyed as part of an underwater excavation of Miami's shipping channel. The channel — set to be dredged and deepened on Saturday — is home to a thriving coral reef. Palm Beach County is now joining efforts to fight the mosquito-transmitted virus known as Chikungunya, which so far has infected one person in the county and 10 people total in the state. The virus is rarely fatal but symptoms can include chronic pain that lasts for years. Fats, oils and grease from your favorite restaurant in Broward County will be converted to produce energy for its waste-water treatment plant in Pompano Beach. The project, which launched last week, will impact the community both economically and environmentally. “We are looking at a savings of $27 million over the 17-year period,” says Broward Mayor Barbara Sharief. Mayor Sharief says this process will create more than 400 jobs, reduce emissions that pollute the air by 30 percent and energy consumption for the county. A study finds that South Florida maybe can’t blame the rest of the world for saltwater seeping into the groundwater, also called saltwater intrusion.